One of my jobs is soapmaking. This is actually a paying gig, and it also gives me another outlet for creativity. I can come up with new fragrances, colors, designs, types—I made a shampoo bar for myself a few weeks ago that I am looking forward to trying. I make soap to sell (on-line and at local farmers markets), but also for myself. I love an all-natural bar of soap that I can use and give as a gift. 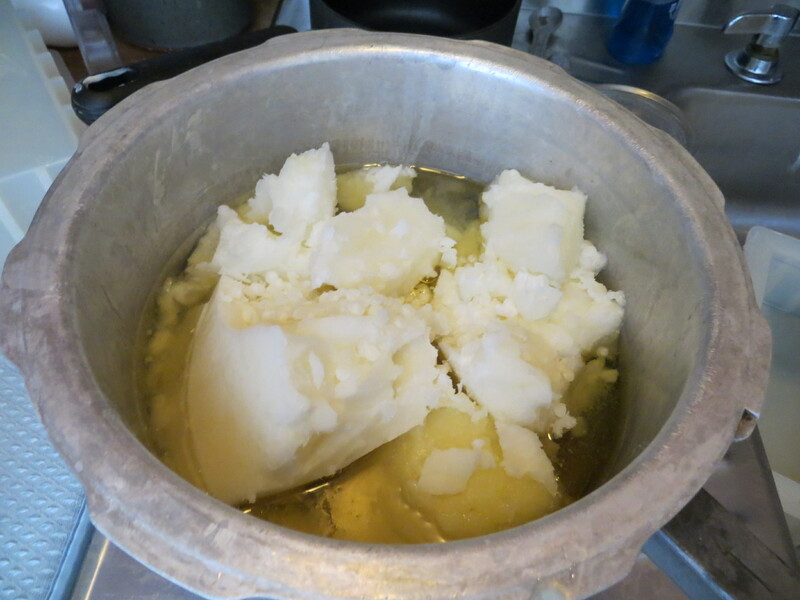 During one of the recent snow days, the children were all playing at a cousin’s house, so I took a few hours to go make soap. 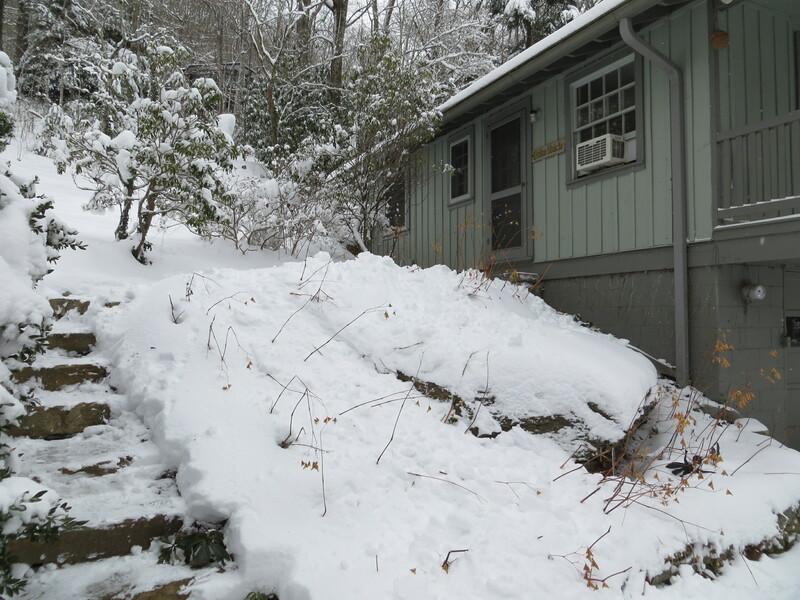 The “soap shed” is at the top of a long steep drive, so I parked the truck at the bottom and walked up. 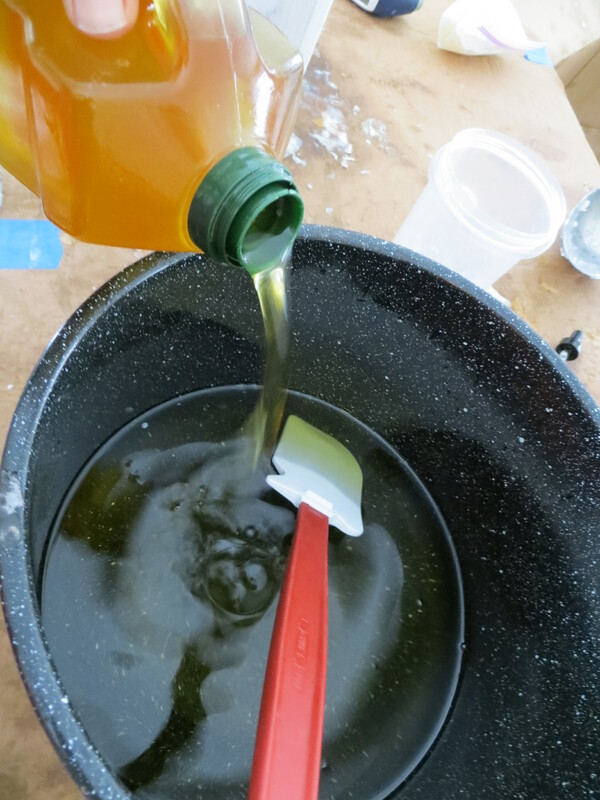 Measure and melt the solid oils. Add olive oil. Measure the lye and mix into water. 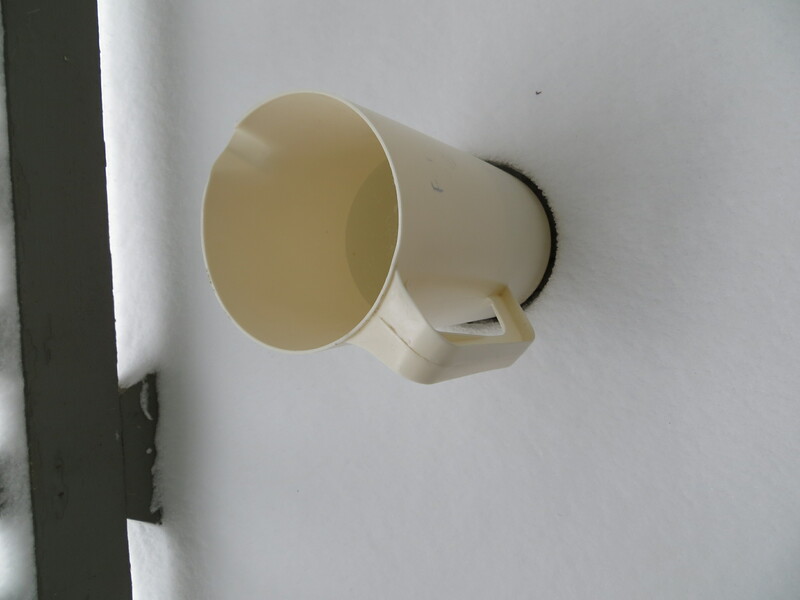 Let that lye mix cool out in the snow. Measure goat milk and mix lye into the milk. Mix lye/milk with oils. I use a stick blender to make this process go much faster. 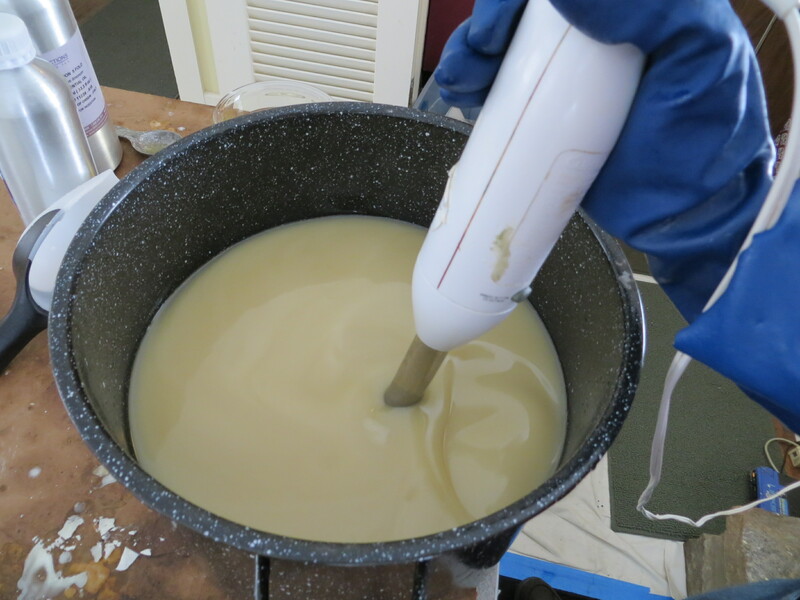 Once this mixture traces, or is thick enough, I pour it into molds. 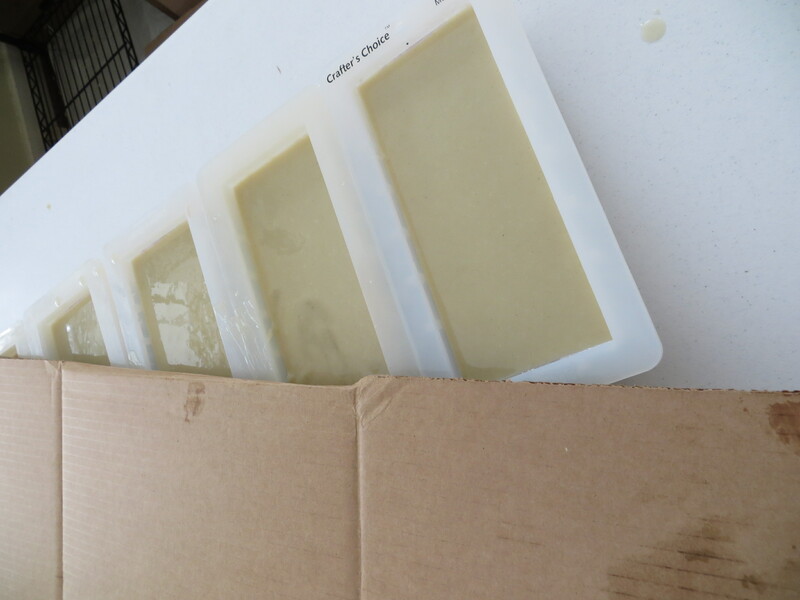 The soap will harden in the molds for a few days. Then out they come to dry for a few more days. Then, we cut them into bars and set them on a shelf to dry (or cure) for 4 to 6 weeks. Aren’t they pretty? They smell great too! 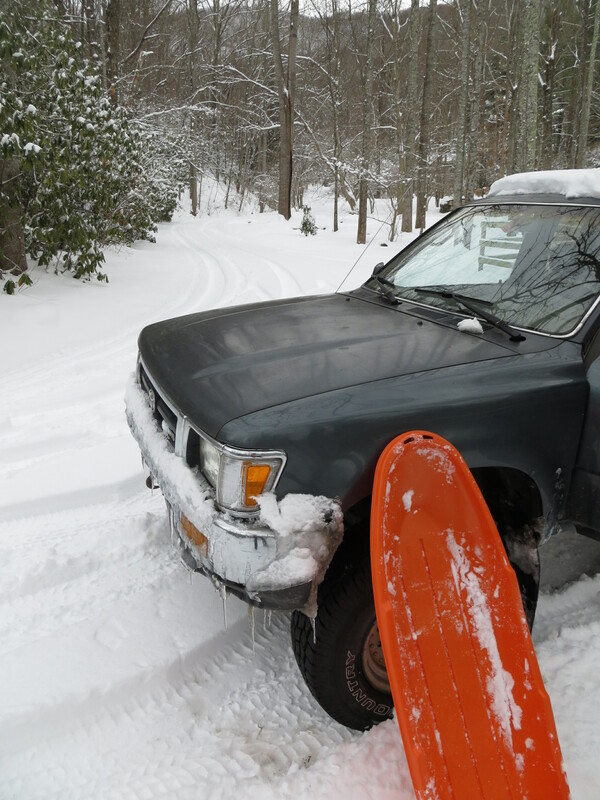 The really fun part about that day was getting back to the truck. 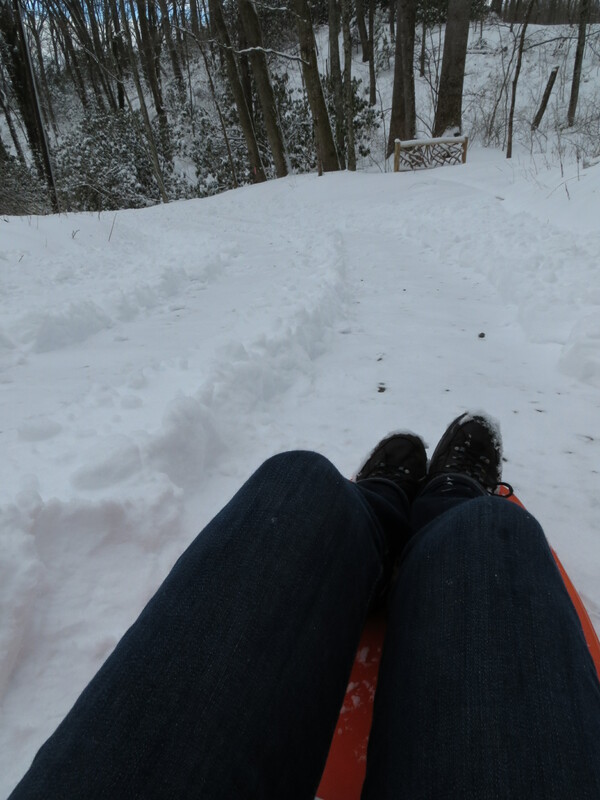 I brought a sled up with me, so I had a long, fast sled down to the bottom. We probably have spoken! I will be there a little more this summer than last, so look out for me! 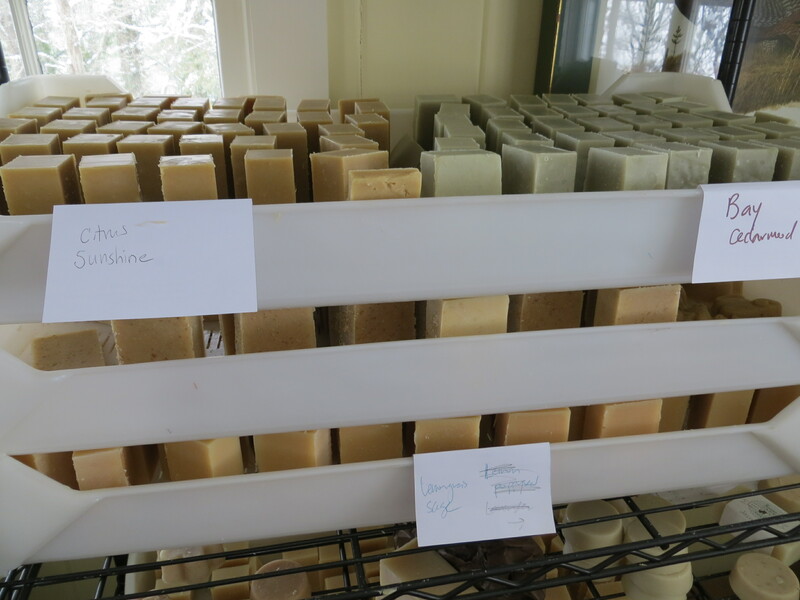 We can arrange it so you can come help make soap! that would be incredible~ I’d love to learn to make soap and would be happy to come help out!